Fall | "A Place for Learning"
A few years ago we did a series of paintings representing the Four Seasons. We’ve been asked to do another one. Coming up with some ideas is challenging. Here is one with a valley view first without a tree branch in the foreground and then with some fall leaves on a branch. Our Parks and Rec Community Center set up a Paint Party for Fall. 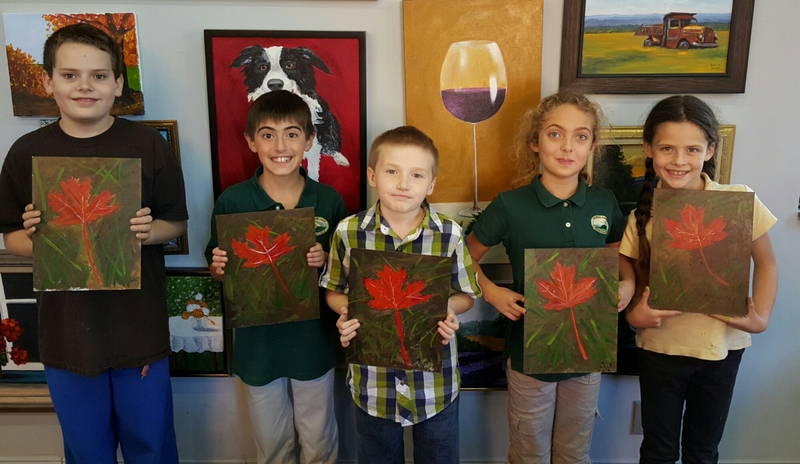 Take a look at the fabulous work that these painters did yesterday with their interpretations of fall. Terrific! 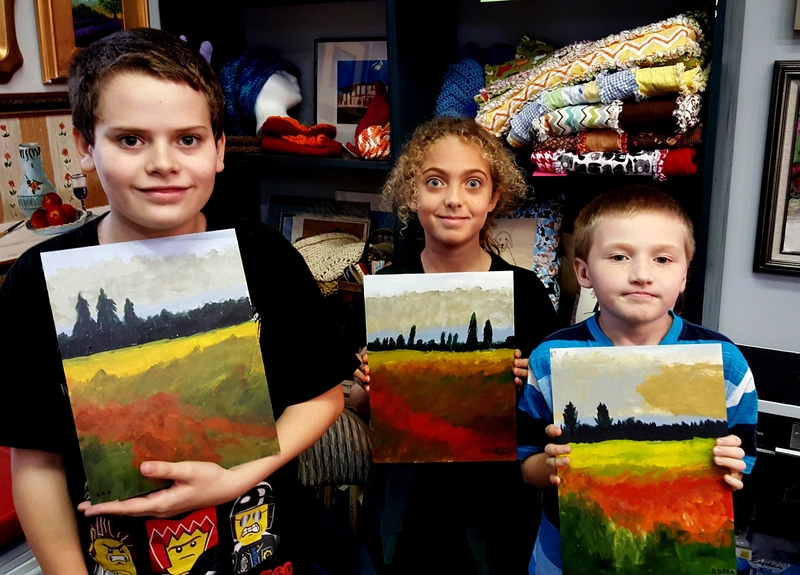 We had some fun painters at The Studio yesterday painting these beautiful fall barn scenes. Great work everyone! 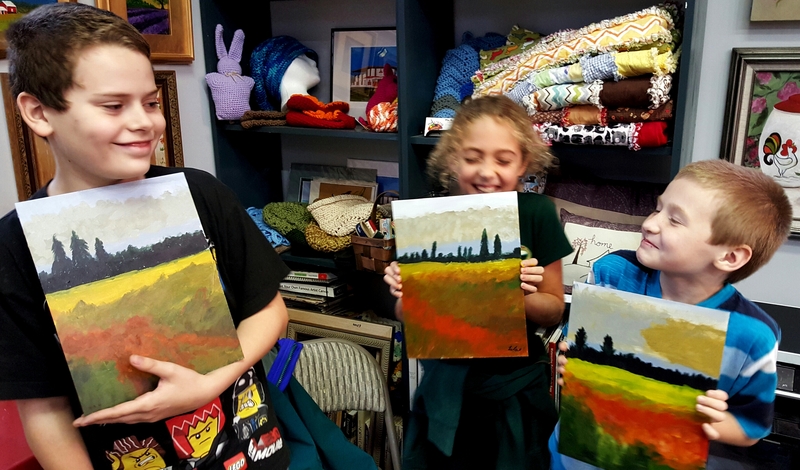 We have some really terrific classes and workshops coming up at The Studio this month -painting, sewing, embroidery, knitting, cupcake decorating and more! Check the calendar here. Fall is arriving quickly so our painting for the 1st Saturday Paint Party on October 1st will of course, be fallish! 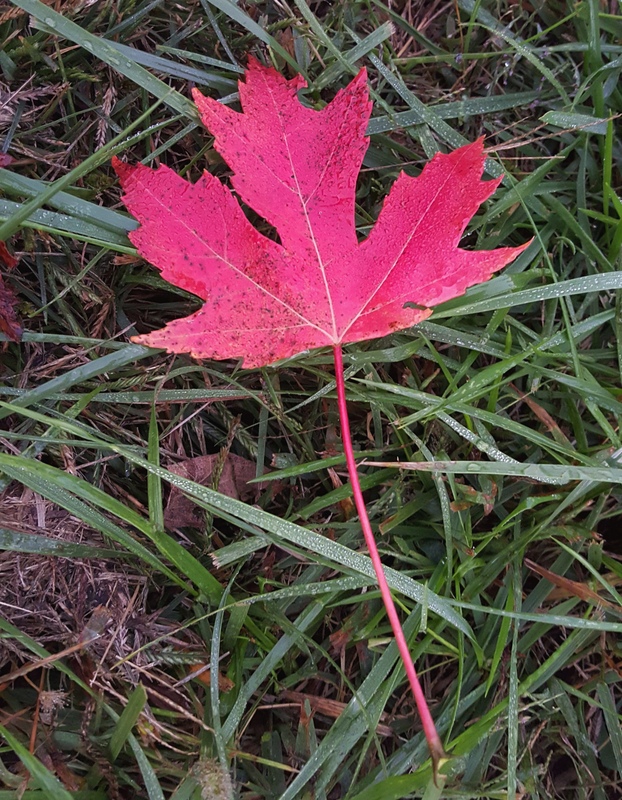 You can choose from a Pumpkin Patch or a Fall Tree. The basic image will be the same but you will be able to make it your own. Be sure to click here to register so you will have a space in the class. See you soon! Last week the kids painted this lovely fall color landscape. They enjoy painting but I think they enjoy even more picking on each other when we take our photo at the end of class. So silly! Kids Class yesterday had us painting a fall leaf. I snagged this photo a few weeks ago at the dog park and the kids did an excellent job painting their versions of it. Great work everyone! We had a fabulous group for a private Paint Party last night at The Studio. Family and friends having LOTS of fun painting together. Great job everyone. Remember you can book a Paint Party for your friends and family too. Check out everything you need to know here.